This is a true story. It is a story about facing adversity. A story where I learn a valuable lesson. I tell this story every now and then among robot friends. I talk. They laugh. I die a little bit more inside. This story really starts with the creation of the FRC kitbot and ends with the story of one team’s 2005 season… Gather round my friends as I tell you a tale. This is a true story. It is natural to become upset when we see someone take an action, or say something which goes against our beliefs or is hurtful to us. At some point however, these actions lose their emotional impact. There are plenty of individuals and organizations which have upset me, and as such are no longer part of my life. I avoid them and try to avoid the actions which run counter to my beliefs. However… There are ALSO plenty of these individuals and organizations STILL in my life. At some point I decided “they are, who they are” and made the conscious decision I’d structure my relationship with this knowledge in mind. You can deal with a scorpion, as long as you avoid its stinger. No, I don’t get upset. I know I’m dealing with a scorpion. The only reason YOU get stung, is because despite all evidence to the contrary: you keep pretending you’re dealing with a frog. 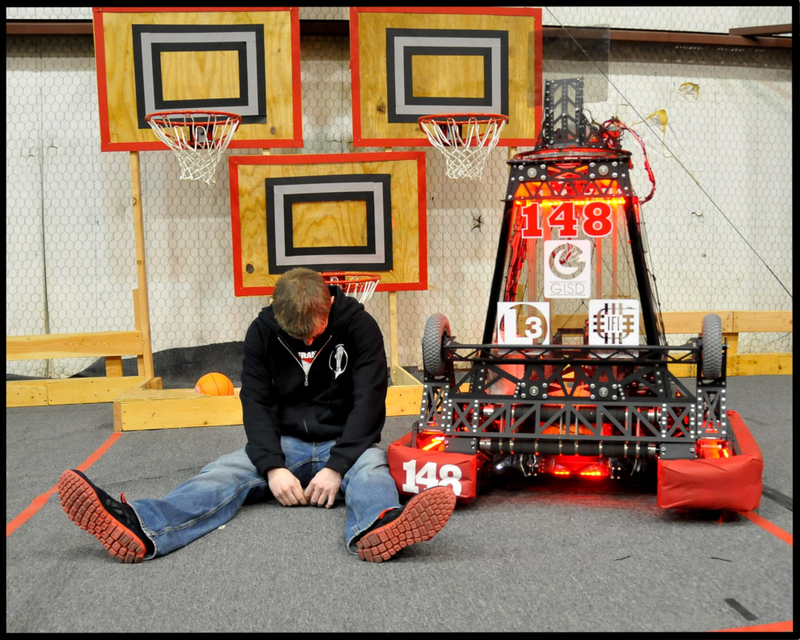 It is inherent to the nature of all FRC teams that our students will leave. As a long-time mentor I've seen many exceptional Robowranglers come and go over the years. Whether they only popped onto the team for a portion of a season, or have been part of the family for years and years - our time with them always feels too short. Have we done our part in preparing them for what comes next? Were we successful as a team and as mentors? - How do we define 'successful'? What lessons does our team want to leave with those who come and inevitably go? To those of you who are considering mentoring an FRC team while attending college, I'd like to tell you my story, and make a simple appeal to you: Don't do it. As everyone (who reads this blog) probably knows by now - on Saturday April 21, 2018 under the hot lights of Houston’s Minute Maid Park the Robowranglers of Greenville High School won our third World Championship title in front of 30,000 cheering spectators. I'm supposed to be writing about strategic analysis of the game, the role of the FRC coach in the box, and Championship level alliances? How about instead I fall into some random FRC rabbit hole... like say, about FRC Team Mottos! Success is not about luck. It is not... about how hard you work. Those things are important. Success requires you use all your resources, continually grow your skills, and work very hard on those things that are within your control. You need to work relentlessly to chase excellence, for as long as it takes. If you can maintain your enthusiasm for the journey, when you eventually get a little luck… you’ll be ready. Success in our sport, is a lot like success in life. After "overwhelming demand" from the Day 21/22's post, I passed along the requests to my mother for her brownie recipe. Her response is below. I love that "Brownies are an iterative process." 1. Buy a box of Brownie mix (any brand you like or think you'll like because it looks appealing on the box). 2. Follow the directions regarding additional ingredients (water? oil? eggs?) and mix well. 3. Add broken/chopped walnuts AND handfuls of raisins and stir again to incorporate them. This step COULD BE iterative, depending on the baker. 4. Bake according to package directions, but remember to test before totally removing the pan from the oven. 5. ENJOY and accept the fact that brownies need both walnuts and raisins to satisfy one particular Robowrangler mentor and blogger. 6. Convert -- this is NOT the dark side; the force will be with you. For those of you who would NEVER purchase a boxed brownie mix, use your own homemade recipe and add walnuts and raisins (step 3 above). Love to all -- I'll be cheering you on from upstate New York!